The Steering Committee of the Frontiers in Education Conference (FIE) invites interested parties to submit proposals to host and organize future conferences. 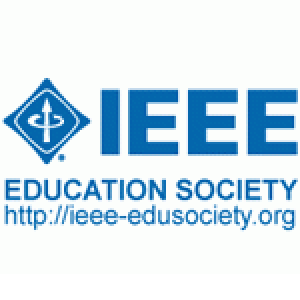 FIE is co-sponsored by the American Society for Engineering Education (ASEE), the IEEE Computer Society and the IEEE Education Society. The conference is one of the premier publication venues for research in engineering education worldwide, attracting over 700 abstract submissions annually. Its mission is to advance the state of knowledge of engineering education theory and practice in an international context, bringing together researchers and practitioners from all areas of computer science and engineering. The conference includes sessions for the presentation of high-quality research papers and for sharing practitioner experience. The FIE conference is traditionally hosted in North America, but proposals from all parts of the world are welcome. The Frontiers in Education Conference must be predominantly held in North America (IEEE Regions 1 – 7). Venues outside IEEE Regions 1 – 7 will be considered after five consecutive years within North America. If an international venue is chosen, the conference will return to North America for another five consecutive years. Parties interested in hosting a future FIE conference are invited to submit their proposals (10 pages or less) to the steering committee. Proposals are considered at the two annual FIE Steering Committee meetings that are held at the ASEE National Conference in June and the FIE Conference in October. Proposals are submitted by email with subject line: “Proposal to host FIE” to the steering committee chair1 by either June 1 or October 1. The FIE steering committee evaluates all bids using the guidelines described below. Anyone interested in bidding is welcome to make informal contact with the steering committee chair prior to the deadline for proposals. Proposals are judged on the strength of the organizing committee (track records in engineering education, diversity and experience), the plan for the conference (vision, ideas, etc. ), and the location (appeal, accessibility, hotel facilities, etc.). Decisions are made by majority vote within the steering committee. The steering committee aims to review proposals and make its decision within four weeks of the ASEE or FIE meeting, whichever of these is relevant to the submission. FIE facilitates interactions between the higher education engineering community which includes both researchers and practitioners. Sessions discussing the current state of the art, directions for the future, and demonstrations of current best practice are expected. 1. To provide a setting for the presentation and discussion of high-quality original research papers in all aspects of engineering education research and practice. 2. To provide a forum for the exchange of ideas between researchers and practitioners in the field. 3. To provide a range of complementary events such as panel sessions, special sessions exhibitions, workshops, and media events. 4. To provide suitable facilities for informal networking and exchange of ideas between delegates. **See the web site fie-conference.org for contact details for the current steering committee chair. The host organization is expected to interact and utilize the services of the FIE publications and logistics service providers in contracting venues, publishing the proceedings, managing submission review, and liasing with the IEEE in the process of including the papers from the conference in IEEE Xplore™. FIE is to be held in October each year. The conference location must be easy to access for any of our worldwide registrants. Good air, rail, and road links are essential and if the local airport is not an international hub airport then air connections to nearby international hub airports are expected. The bid should include a short description of the location and any remarkable or outstanding features that would make it particularly attractive for potential delegates. Proposers should demonstrate that their conference hotel or conference venue has appropriate conference facilities to be able to accommodate up to 700 delegates, including a banquet facility with seating for a minimum of 650, a set of no less than 7 break-out session rooms with theatre style seating for 50 people, and an exhibit hall that can host coffee breaks in the same area during poster and exhibition sessions. A letter of support from the proposers’ host institution should accompany the bid. Proposers should demonstrate that they have suitable accommodation for delegates (e.g. en-suite rooms in student halls and/or local hotels), for a meeting of at least four days duration. Usually the conference runs from Wednesday to Saturday in mid to late October. The availability of low-cost accommodation for student delegates such as youth hostels or inexpensive student halls would also be an advantage. The FIE conference offers three breakfasts and three luncheons to all guests as part of the registration fees. A pay-to-attend formal Awards Dinner is required because FIE is the historical place for annual IEEE Education Society award winners to receive their awards and be honored by the community. Other types of activities such as drinks receptions (possibly externally sponsored) and sightseeing visits are expected as a normal part of the event. Table 1 Expected number of guests for FIE conference. Proposers are expected to organize and maintain the contents of a web site for the conference, in collaboration with the publications and logistics service providers who are contracted to provide content for paper submission, delegate registration, conference organization, program, and steering committee use. Proposers must produce a budget for the conference in collaboration with the FIE logistics services provider (currently Kansas University Continuing Education KUCE). It is expected that the conference should break even as a minimum, and should preferably show a small surplus. Proposers should provide at least the following (10 pages or less in PDF). The names, affiliations, and email contact information for the main organisers. A description of the conference highlights and justification/support of the conference location, and venue. A summary of any members of the organizing committee that you might suggest and their qualifications for the role. Note that Program -Chairs are not assigned by General Chairs. Plans for publicizing the conference and gaining external sponsorship for social events and lunches. Proposals should be submitted by electronic mail to The Chair of the FIE Steering Committee. See fie-conference.org for current committee members.